SOuth of HOllywood Road is a swanky area filled with exotic restaurants and upmarket bars. Staunton Street, Elgin Street and Shelley Street are the heart of the district. Just take the Mid-Levels Escalator at Queen’s Road Central and you can reach that chic area. Beware that it is always busy with locals, expats and tourists. Also known as LKF Hong Kong, it is the best known drinking and party hotspots in the city. The uphill streets packed with upmarket bars, clubs and restaurants which are most loved by expats and tourists. The nightlife there starts at around 9pm and carry on till late. Some veteran drinkers like doing pre-drinks here before heading to Wan Chai area later in the night. Lan Kwai Fong can easily be reached by entering D’Aguilar Street at Queen’s Road Central. The Roof of the IFC Mall houses some posh bars and restaurants. There are also some seating areas open to public. Some exchange students or expats like to have pre-drinks here before hitting Lan Kwai Fong. Around the streets of Wan Chai Lockhart Road, you can find the infamous girlie bars and nightclubs. 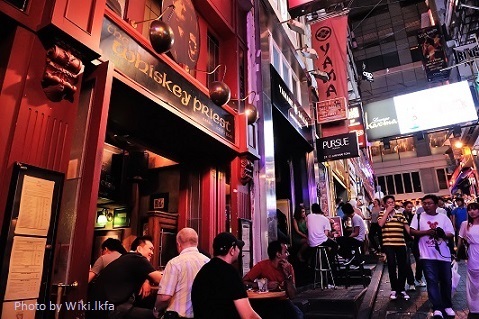 Some serious drinking expats prefer this area to Lan Kwai Fong, and it is most loved by American sailors as well. Some of the bars run 24 hours a day. Knutsford Terrace and Observatory Court have many specialty restaurants and bars offering global cuisine and wines. The area is less expat-dominated with a more diverse mix of locals, expats and tourists. 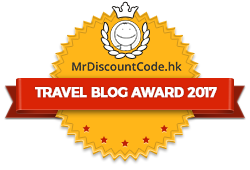 It’s just a few minutes’ walk from Tsim Sha Tsui MTR Station. Where’s your favourite drinking and dinning places? Have you got any incredible experience there?